The Yamaha NMax 155 was showcased at the 2016 Auto Expo in India. The 2017 Yamaha NMax 155 gains slight visual changes. 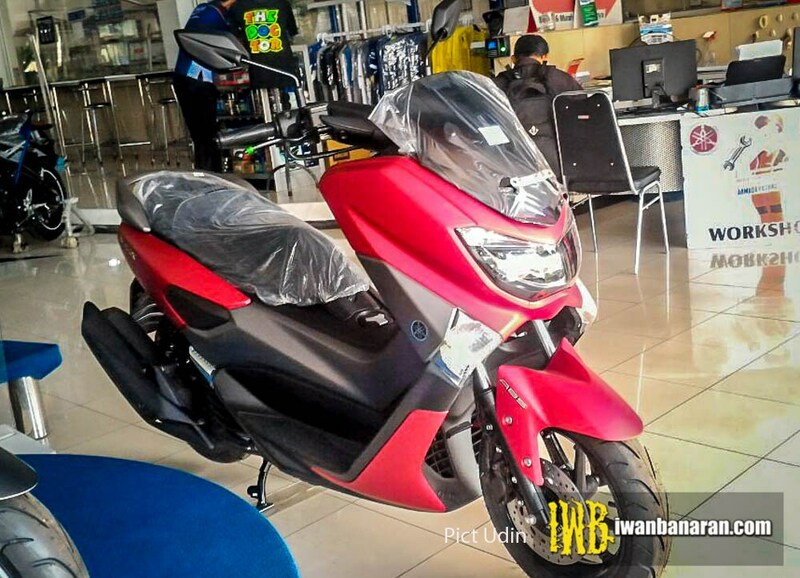 Images of the updated scooter have surfaced from East Java, Indonesia, courtesy of IwanBanaran. The 2017 edition of Yamaha NMax 155 gains several visual changes which include a matte finish and black alloy wheels. The heart of the 2017 Yamaha NMax 155 continues to be the same 155 cc single cylinder, liquid cooled, Blue Core mill which is capable of producing 15.09 PS of maximum power at 8,000 rpm and 14.4 Nm at 6,000 rpm. The engine gets VVA tech (Variable Valve Actuation) like the Yamaha Aerox 155, which helps the engine churn out the required amount of power throughout the rev range. The Yamaha NMax 155 tips the scales at 127 kg and gets disc brakes all around with dual channel ABS. The new paint scheme uses matte red with matte grey colours. The alloy wheels are now finished in gloss black instead of gun metal. The Yamaha NMax 155 gets a 155 cc Blue Core VVA mill which is capable of producing 15.09 PS of maximum power and 14.4 Nm of peak torque. The Yamaha NMax 155 gets several premium features like LED headlamp, digital speedometer and a LED taillamp. It measures 1,955 mm in length, 740 mm in width and 1,115 mm in height. The fuel tank can store 6.6 litres of fuel, while the seat height of 765 mm translates to a comfortable ride for riders of all height. 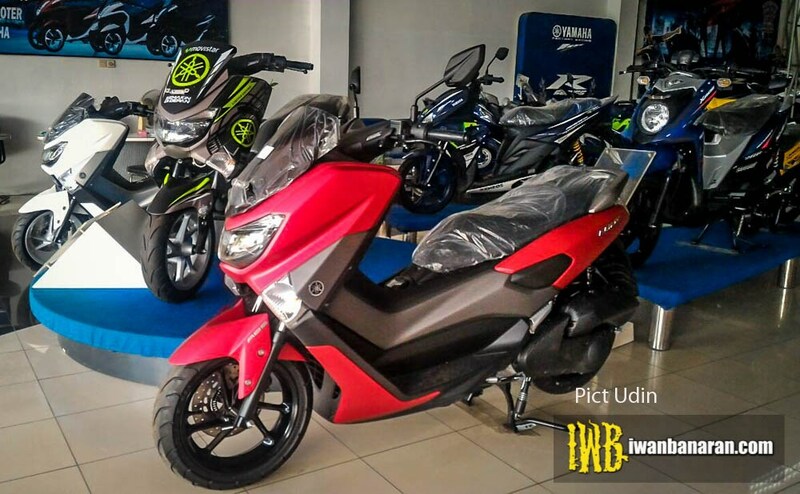 The 2017 Yamaha NMax 155 is priced at IDR 29.4 million (INR 1,48,579) in Indonesia.